“Effecting Cultural Change” may sound a bit presumptuous and a bit ambitious, but that is exactly what the RC&D is attempting to do through their ongoing efforts, the most recent being a publication entitled “Stream Processes Guide: Living with Pennsylvania Streams.” Through information comes knowledge and understanding, and how our northern tier PA streams are formed, function and are best managed is the focus of this publication. We often hear the term “best available technology” used in describing how we deal with managing issues and situations. That technology is based on our knowledge and understanding of the system we are working with, and what the components are and how they all work together. Our streams are no different. For centuries, we have worked with these systems that are both complex and sensitive to modification. Development in the watersheds that provide both the quantity and quality of water that feeds these streams and the methods by which we managed the streams as they responded to those changes have been largely based on our “best available technology” or understanding of them. That understanding has come a long way in the last generation and sharing that information, knowledge and technology is the goal of the watershed efforts of the Endless Mountains RC&D. 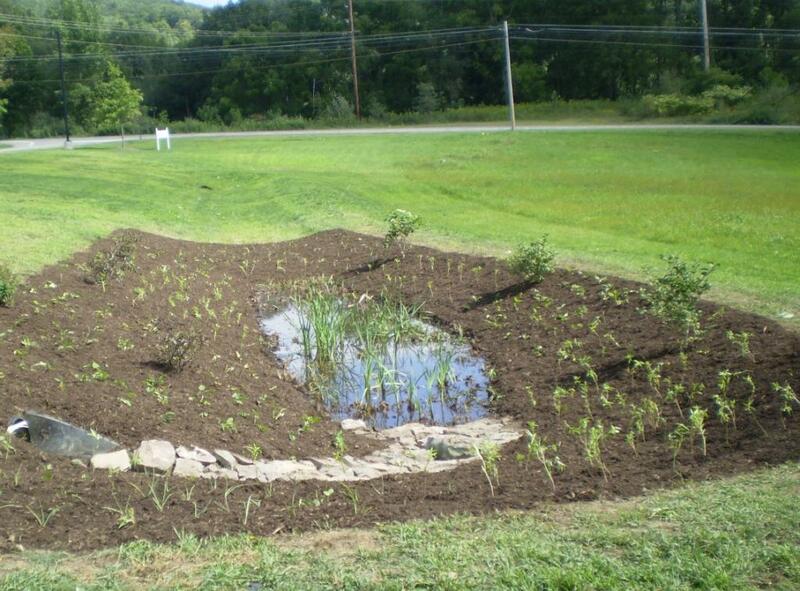 Building upon a publication developed by their neighbors to the north, the Chemung County Soil and Water Conservation District, a collaboration of effort by the six county RC&Ds, PA Dept. of Environmental Protection, USDA Natural Resources Conservation Service and the Lycoming County Planning Commission, an educational resource was developed that serves as a primer for landowners, municipal officials, resources managers and just about anyone who lives with and interacts with our stream resources. The Guide walks readers through sections that include: How Do Streams Work? ; Living in Watersheds; Assessing the Condition of a Stream; Challenges to Managing Streams; Stream Management Strategies; Legal Issues; Self –Assessment; and Additional Resources. The Endless Mountains RC&D has historically maintained a focus on the challenges of living with and managing the region’s streams. Flooding and unstable stream channels are cited almost universally by municipalities and the general public alike as the top natural hazard of the region. The RC&D Council recognized that one of the solutions to begin turning the corner of comprehensive management of these hazards is to foster a better understanding of just how these stream systems work. 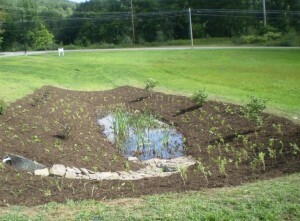 Too often, the landowners and officials that deal with the interaction with the region’s streams view them as “maintenance liabilities” as opposed to “valuable natural resources.” Determined to help change this perception, the RC&D was most recently able to secure and complete a PA Growing Greener grant to sponsor a number of outreach efforts, one of which is the Guide. Other efforts included a series of workshops and conferences aimed at municipal officials to further the sharing of information and knowledge of stream function and flooding hazards, regulatory guidelines for managing stream corridors, and an opportunity to discuss what additional tools and information was needed. 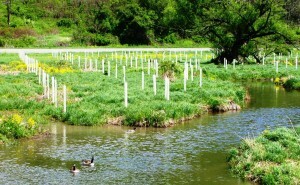 The outcome for this series of outreach efforts was the development of a “Flood Management Toolbox” that contained a broad sample of available resources for local officials; a series of demonstration sites of low-impact development practices that are featured in a regional guide; and the “Living with Pennsylvania Stream” guide itself. For more information regarding this newest set of tools produced and available through the Endless Mountains RC& D, visit our project page at www.EndlessMountainsRCD.org/LID or contact our Program Manager at info@endlessmountainsrcd.org. Planting trees along a stream is often effective in restoring and maintaining bank stability.